Shropshire Siamese Pictures 2014 were taken by Kevin Brock of Kevels Siamese. Siamese cat pictures from the show are available completely free of charge for you to use, all we ask in return is that if you publish them on your own website then you credit the photographer and add a link back to this page. Just click on the photos you want to download and you will be able to download the photo, alternatively just contact us and we will send you the photo. If we did not manage to get a photo of your cat and you would like to submit your own then please submit your image via the contact page. We would really like to include your cat show pictures, just send them in and we will do the rest. 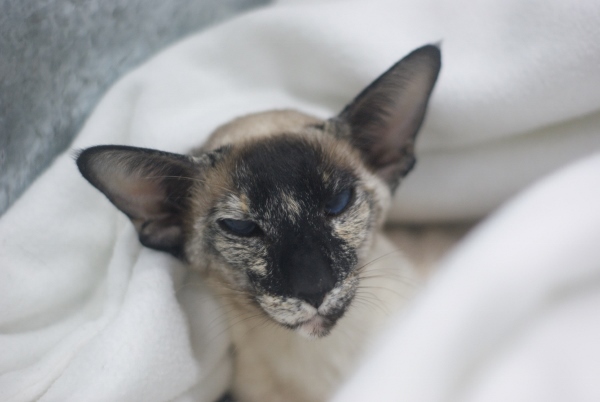 Siamese Cat Breeder are always on the look out for cat show exhibitors that enjoy taking photos at cat shows, can you help Siamese Cat Breeder by volunteering as a show reporter or photographer? Kevin enjoys taking photos of all the different breeds of cats at the shows. He is also breeds his beautiful Siamese cats with his wife Elaine under their prefix Kevels.